Real time reports are reports with almost no delay. 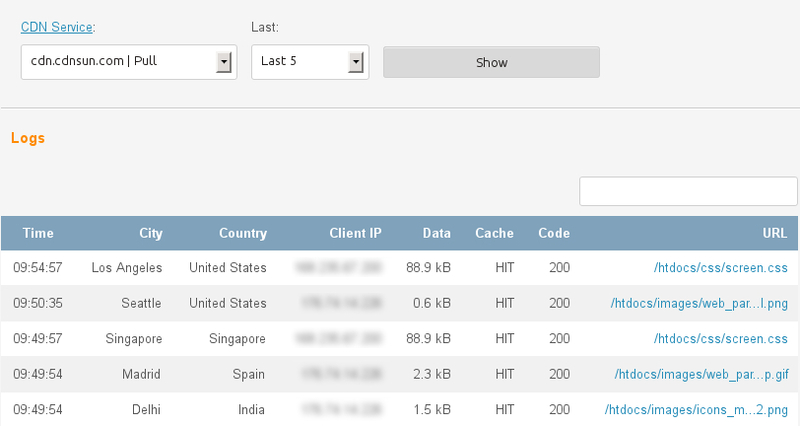 For CDN Static and CDN Static Push services we provide access logs of files served via CDN. 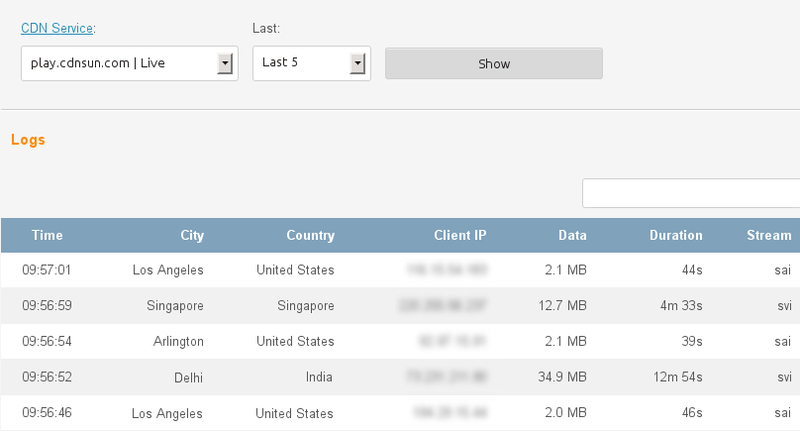 For CDN Video, CDN Video Push and CDN Live services we provide access logs of streams served via CDN. 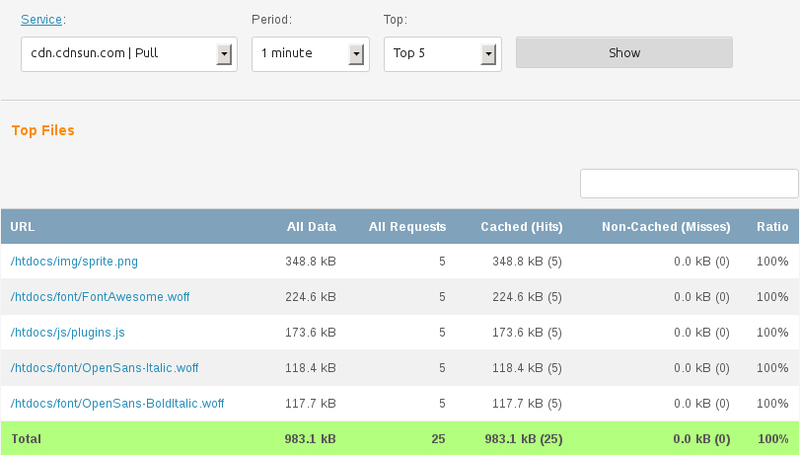 For CDN Static and CDN Static Push services we provide reports of your top files served via CDN. For every URL you can see how much traffic it generated (data cached and non-cached), how many requests it received (hits and misses) and what was its cache-hit ratio (data cached / (data cached + data non-cached)).